Are you searching for a qualified elder law attorney in Norvell to work to ensure that your family is prepared to weather the loss of yourself or a loved one? Talking about elder issues, whether yous or those of a loved one is often awkward and complicated. Discussing a plan for handling legal matters after a life altering health event or death is never pleasant. However, taking action today will help ease stress and confusion tomorrow. If you are faced with an emergency, decisions become more critical and more difficult. Jackson Eaton-Gordon & Associates, PLLC has been working with local families in Norvell on senior legal issues for more than 118 years, and can help you to prepare trusts, wills and estates with compassion and care. Call (517) 234-1981 and let our trusted elder legal team assist you with navigating the challenging laws affecting seniors today. Protect what you've worked so hard to build and know that your wishes shall be honored and shared with relevant family members. Elder law is the legal practice pertaining to issues that affect our aging population. At its core is the establishment of safeguards to protect the assets you have worked so hard to build and to ensure that they are passed on to the people you cherish. Jackson Eaton-Gordon & Associates, PLLC's elder service offerings are expansive, covering many aspects related to estates, health care and wills. The caring attorneys at Jackson Eaton-Gordon & Associates, PLLC can help you structure a financial plan that will enable you to live a financially secure retirement. We provide legal planning services, that are simple and direct, so that you understand the options available and how your estate can best be structured to protect you and your heirs. Are you prepared for a health emergency? When a stroke, accident or other life changing event occurs, your life can be altered in an instant. If you are suddenly unable to communicate, will your wishes be known and communicated to your family? Do you have a designated family member who will take over control of your estate, whether short-term or permanently? These are the types of considerations Jackson Eaton-Gordon & Associates, PLLC helps families prepare for, and build contingencies around. When you call (517) 234-1981 and arrange to sit down with a legal team member from Jackson Eaton-Gordon & Associates, PLLC, we'll walk you through the maze of legal documents and make sure that you have a full understanding of how legal issues will impact you. Rest assured that you will be given the tools remain in control of your assets, not the state of Michigan. It may seem easier to put off the unpleasant task of planning for incapacity or death in the short term. However, if you take control of your life and future assets now, while you are able, you will have the power to remove this burden from your family and loved ones later. Working with Jackson Eaton-Gordon & Associates, PLLC to create an estate plan will keep you in the driver's seat. It's the most loving gift you can give to your family - protecting your life and property as well as theirs. 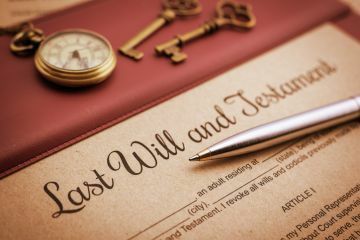 When you assets and bequests are simple, folks often choose to write their own will. As long as you comply with Michigan laws, your will will likely stand up in a court of law, and it will be executed as planned. But if you own land, investment accounts and/or own a business, assistance from a qualified law firm, such as Jackson Eaton-Gordon & Associates, PLLC, is a wise decision. We'll guide you through the process of putting your accounts in order and designating an executor who will follow your wishes and correctly distribute your assets. When you call (517) 234-1981 to schedule a consultation, we'll arrange a convenient time to meet with you and discuss your goals. Assigning any other tangible assets and special collectibles, etc.